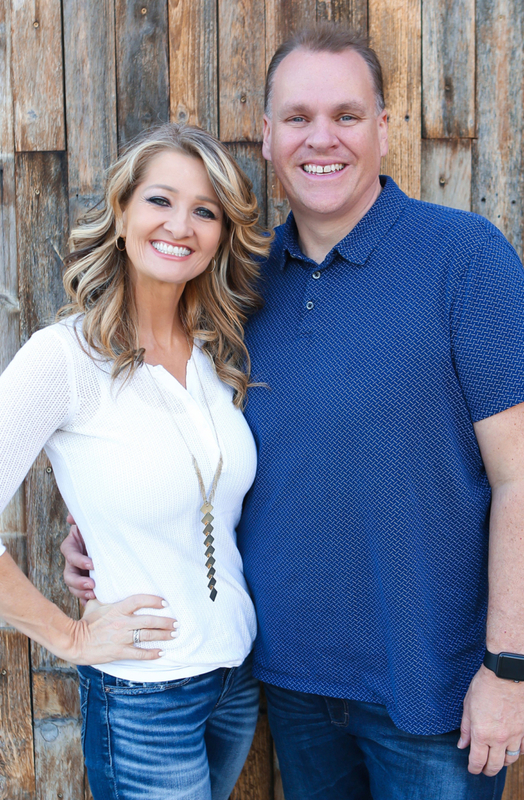 Shadow Rock Church – A place where real people find authentic faith. Where real people find authentic faith. At Shadow Rock, you will consistently find our church to be an extremely friendly place full of authentic people. You will discover that it is a safe place to ask tough questions and seek real answers, and a place where you can develop meaningful relationships and connect deeply with God through faith in Jesus Christ. Feel free to come a little early to either of our one- hour services so you can enjoy bagels and coffee. 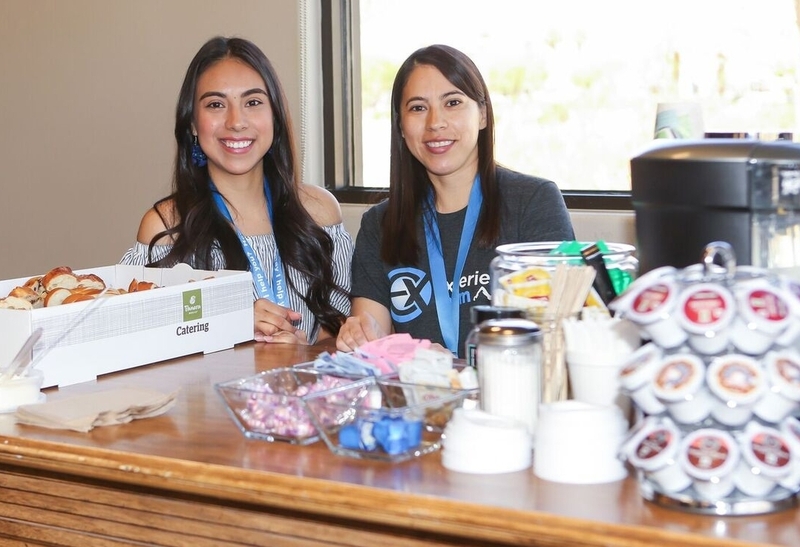 You can even get a tour from one of our hosts or hostesses who can give you directions and answer any of your questions regarding our church! While you and your Middle School and High School students are enjoying the main service, your elementary age children are enjoying our high quality, high energy and fun Children’s service. Your pre-school and nursery age children can be a part of our pre-school and nursery ministry. We feel confident you and your children will love it! 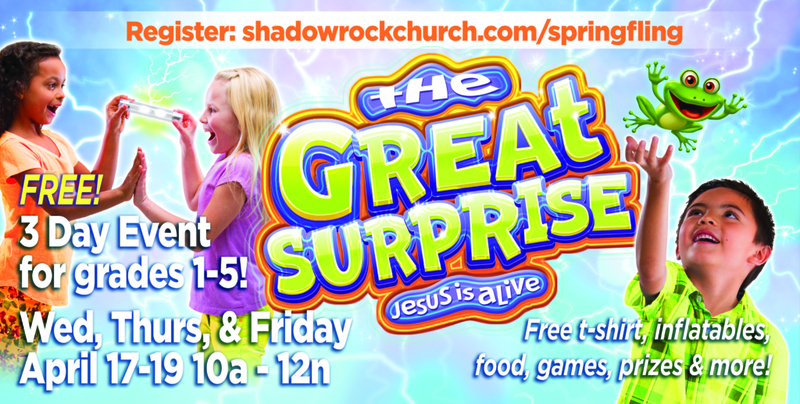 Click below to register for our 3 Day Easter Kids Event, The Great Surprise! Wed, Thurs, & Friday, April 17-19 from 10a – 12n! Be sure to check out our featured events section by using the events menu above to see the exciting things coming up at Shadow Rock! Volunteers are an integral part of Shadow Rock Church. Get plugged in to community and Shadow Rock by volunteering! At Shadow Rock, we believe in investment into kids. Click the link above to learn more about Shadow Rock Kid's Ministries!